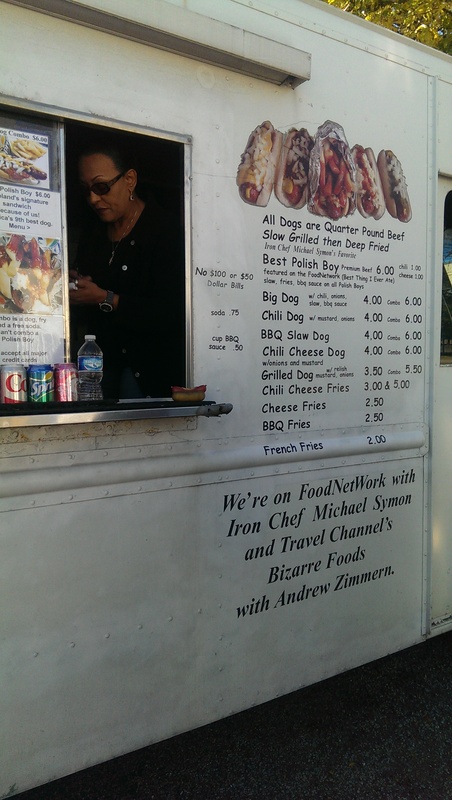 Cleveland’s original food truck has been serving up Polish boys and grilled dogs since 2000. They have been at their current location, the parking lot of Dean Supply on the corner of E. 34th and Woodland Avenue, for the past nine years. Edit: Seti’s has moved to in front of the Thomas F. McCafferty Health Center, on Lorain Avenue near W. 42nd Street. 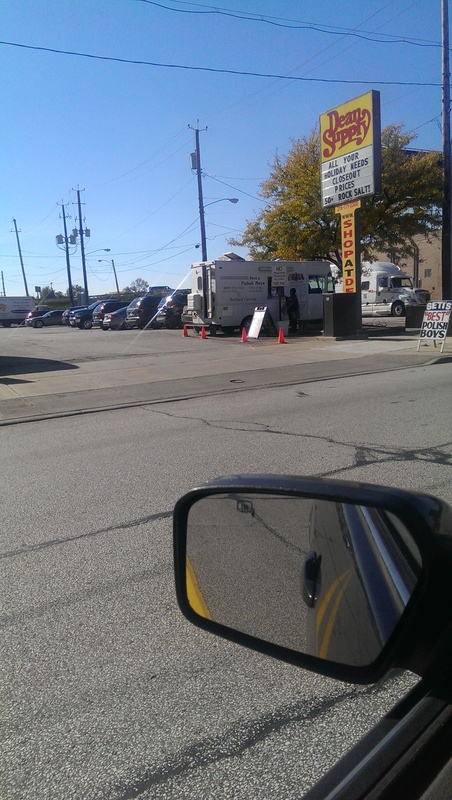 They are parked there Monday through Friday from 10 a.m. to 3 p.m. The truck is equipped with a grill, deep fryer, steam table, 3 prep tables, 2 refrigerators, 4 sinks with hot and cold running water, exhaust system, and serving window. They serve magic. Having been featured on the Food Network and lauded by folks like Michael Symon on The Best Thing I’ve Ever Ate, Rachel Ray and Andrew Zimmer of Bizarre Foods, I knew I had to try it. The Polish Boy is Cleveland’s iconic sandwich. 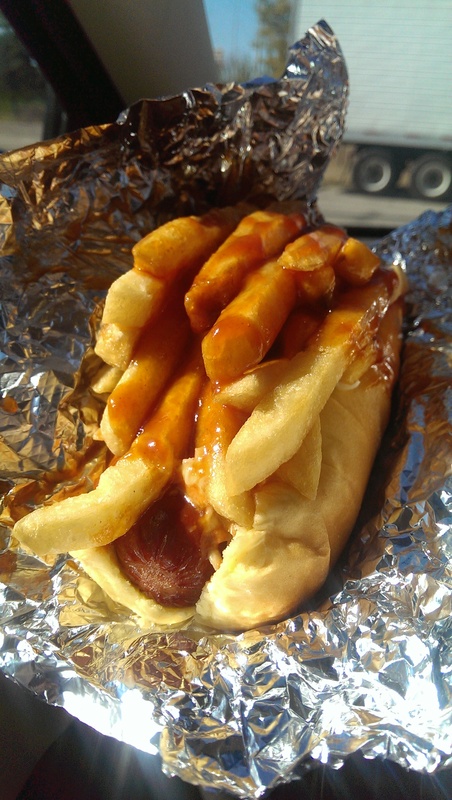 It features a slow-grilled and then fried jumbo style hot dog and is topped with cole slaw, french fries and BBQ sauce. Seti’s is known for having the best in town, and Food and Wine Magazine said their Polish Boy is one of the best dogs in the United States. It was a total mess to eat, but it was worth it. 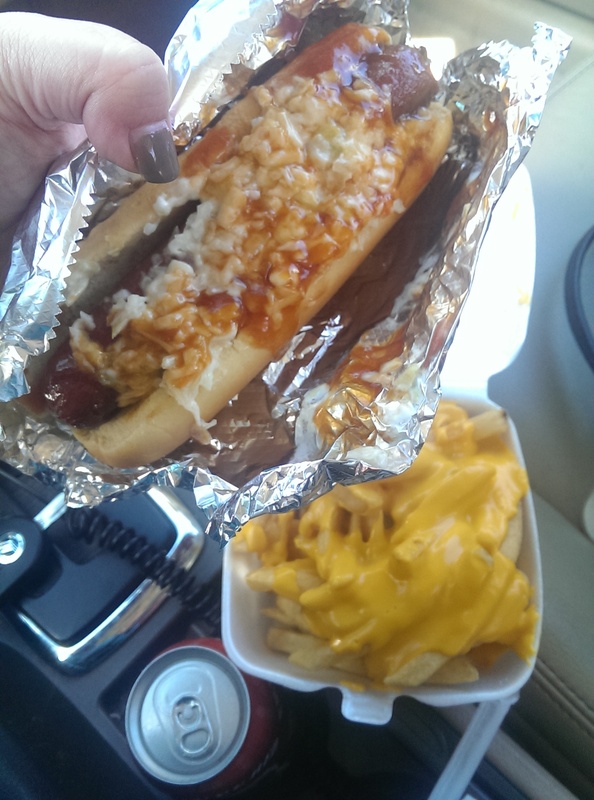 I bit in and the hot dog had a great snap. The creaminess of the cole slaw, the perfect buttery french fries and the sweet BBQ sauce melded together to the perfect meal. I used every single one of the four napkins they gave me and then cleaned up with a wet wipe I had brought with me. Next time I’m bringing a new shirt to change into too. 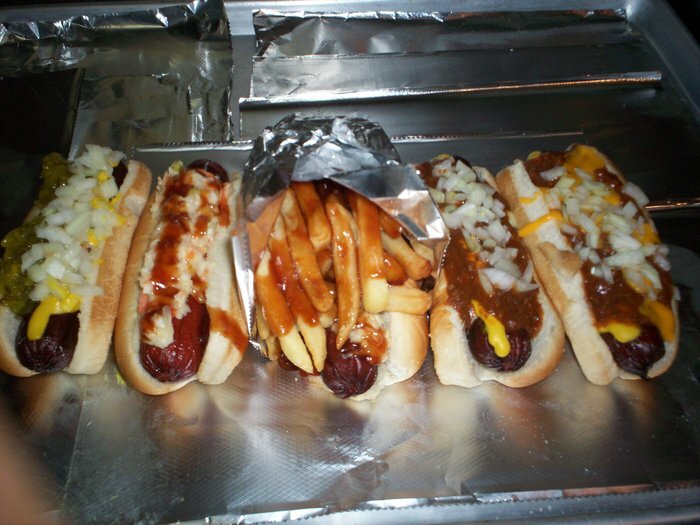 They serve lunch Monday through Friday from 10 to 4. The service is fast and courteous, the price is right and the food is delicious. If you haven’t been there yet what are you waiting for? Just be sure to bring wet wipes. 8 years in Cleveland, and I’ve never had one!